Author: Mykle, Robert Set In . . . Description: Killer 'Cane takes place in the Florida Everglades, which was still a newly settled frontier in the 1920s. On the night of September 16, 1928, a hurricane swung up from Puerto Rico and collided, quite unexpectedly, with Palm Beach. The powerful winds from the storm burst a dike and sent a twenty-foot wall of water through three towns, killing over two thousand people, a third of the area's population. Robert Mykle shows how the residents of the Everglades had believed prematurely that they had tamed nature, how racial attitudes at the time compounded the disaster, and how in the aftermath the cleanup of rapidly decaying corpses was such a horrifying task that some workers went mad. 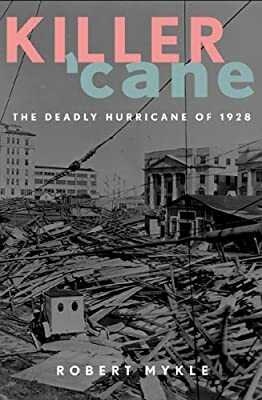 Killer 'Cane is a vivid description of America's second-greatest natural disaster, coming between the financial disasters of the Florida real-estate bust and the onset of the Great Depression.